Cacti are relatively easy to grow. Most will tolerate neglect but thrive when given good care. 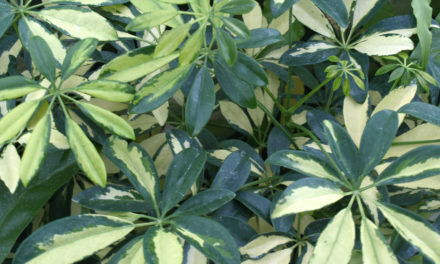 These plants are well-adapted to the dry conditions found in the home. Cacti vary tremendously in size, color, shape and flowering habit. There may be one to two thousand different species of cacti. Most cacti live in desert habitats, but some types can also be found in jungles. Most cacti are native to the Americas. Pincushion cactus (Mammillaria elegans) has long-lasting rings of magenta flowers. Cacti vary from a few inches tall to giants that will eventually outgrow the space in your house. They may grow as upright columns, as spreading clumps, limited only by the size of their container, as hanging baskets or as thorny ornamental balls. Most cacti grow slowly to moderately as houseplants, usually only a few inches a year. They can live for many years. Most cacti lack leaves. The stem is fleshy or succulent. These features allow the plant to withstand periods of drought, a common occurrence in the habitats where cacti grow. Cacti exhibit beauty in their symmetry of form as well as in their brightly colored flowers. 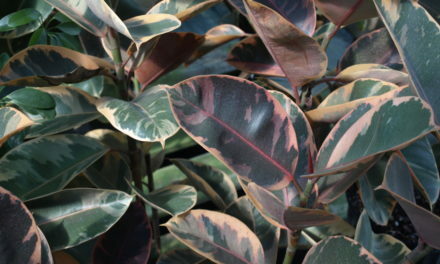 In the home, plant diseases are rarely a problem. Too much water plus insects and mites are the main problems. Root and stem rots usually result from a soil mix that does not drain quickly or overly frequent watering. Aphids, spider mites and mealy bugs are the major pests of cacti. Check new plants carefully for pests before purchase. Houseplant insecticide sprays or insecticidal soaps can be used for control. Make sure that the spray you use is labeled for cacti and follow label directions carefully. Scale can also occur and is more difficult to control. You may be able to hand-pick off a light infestation, but you might have to discard the plant if it is heavily infested. For more information on Common Houseplants see HGIC 2252, Common Houseplants Insects & Related Pests. When most people think of cacti, this type usually comes to mind. Adapted to living in desert conditions, these cacti are often heavily armed with spines. While many have beautiful and delicate flowers, they are mainly grown for their unusual shapes, colors and textures. Watering properly is the most important factor in growing cacti successfully. Their soil must be very well-drained. During the growing season from March to September, cacti will grow rapidly. Water them as any other houseplant that prefers to dry slightly between waterings. In winter, while the plants are dormant, they should be allowed to get very dry between waterings. Water them just enough to keep them from shriveling. Usually this will mean a light watering every few weeks. The plant must never be permitted to stand in water. Waterlogged soil will quickly lead to rotting of the roots. Arid climate cacti need bright sunlight. Windows facing south or west where they will receive direct sunlight for several hours each day are ideal. Artificial light may be necessary to supplement natural light. Cactus plants actually prefer a rich soil if it is free-draining. Packaged, commercial cactus potting soils may be used or you can make your own by combining equal volumes of peat-based potting soil and very coarse sand or grit. Cacti generally like to be slightly pot bound. They should be repotted only as needed. April is the best time to repot cacti, just as they begin summer growth. When repotting be sure to wear heavy leather gloves or wrap the cactus in several layers of newspaper for handling. Repot cacti into a container only slightly larger than the present one. If the container is too large, the soil may stay moist and lead to rot. After repotting, wait several days before watering. Use a low nitrogen fertilizer such as 5-10-5 once a month from June through September. Time-released fertilizers can be used, applied once in the spring. Do not fertilize repotted plants or arid climate cacti during the winter. Cacti prefer temperatures from 65 to 85 F during the growing season. Dormant cactus plants do best at temperatures from 45 to 55 °F in winter. An ideal placement for a cactus in winter would be a sunny cool room or near a window where it is cooler. Most will tolerate normal house temperatures, but they are more likely to flower and prosper if kept cool in winter. Cacti can be moved outdoors during the summer, and will respond well to the change. Be sure to place them in partial shade for the first few weeks, allowing them to adjust to brighter light. Cacti can be propagated from seeds, cuttings, grafting or offsets. Star Cactus (Astrophytum species): These easy-to-grow, green spineless cacti have white flakes on the outside of the ribs. Sea Urchin Cactus (Astrophytum asterias): This small spineless cactus has a gray-green to white-green body. Bright yellow flowers with red throats appear after about five years. In winter, when dormant, the saucerlike body shrinks to a flat disk. Goat’s Horn Cacti (Astrophytum capricorne): Wiry, gray to brown spines twist around this small cacti. Flowers often have a wine-red throat. Bishop’s Cap (Astrophytum myriostigma): Spherical, covered with tiny white-wooly scales along ridges of brown, spineless ribs. Flowers are yellow. Star Cactus (Astrophytum ornatum): Spherical when young to columnar when mature, ribs with cross bands of wooly scales between brown or yellow spines. The flowers are yellow. The Golden Barrel cactus (Echinocactus grusonii) is covered with heavy gold-yellow spines. Golden Barrel Cactus (Echinocactus grusonii): Upright barrel-shaped green body is covered with heavy gold-yellow spines. The flowers are gold. This cactus is good for beginners. Barrel Cacti (Ferocactus species): Ferocactus have extremely fierce-looking, long and ornamental spines. These cylindrical cacti are usually around 5 to 6 inches in diameter, but can grow up to a foot or more. Large flowers appear in summer on older specimens. Compass Barrel Cactus (Ferocactus cylindraceus): The long, hooked flame-red spines of this barrel cacti become very dense with age. Bell-like flowers are orange and yellow. Devils Tongue Cactus (Ferocactus latispinus): With age, the red spines become broad and hooked and lay flat against the ball-shaped barrel. A mature plant reaches about 10 inches tall by 15 inches wide. Cream to purple flowers appear in late fall to early winter. The Devil’s Tongue cactus (Ferocactus latispinus) has broad and hooked red spines. Candy Barrel Cactus (Ferocactus wislizeni): Distinctively patterned red and white spines and yellow, orange or red flowers. It tolerates abuse and neglect well. Prickly Pear Cacti (Opuntia species): Low mat-forming prickly pears are very easy to grow. Always wear heavy gloves when handling prickly pears. They have tiny barbed bristles on their stems that can cause more pain than larger spines and are difficult to see. Most have large, flat, oval pads and showy flowers. They produce colorful, edible pear-shaped fruits. Many types are also hardy outside. Bunny Ears Cactus (Opuntia microdasys): Grows up to 2 feet tall and wide. The round stems are velvety green. The flowers are bright yellow. Grizzly Bear Cactus (Optunia polyacantha v. trichaphora): This species has a unique form when mature. It is a large padded variety with white spines. It is easy to see how Bunny Ears cactus (Opuntia microdasys) gets its name. Hedgehog Cacti (Echinocereus species): Small globular cacti covered with short spines; flowers profusely. They are easy-to-grow plants and good for beginners. Rainbow Cactus (Echinocereus rigidissimus v. rubrispinus): The short spines of this small clumping cacti occur in red and white bands. A ring of pink to magenta flowers appears on the crown of each stem. Flowers when relatively young. Claret Cup Hedgehog Cactus (Echinocereus triglochidiatus): They have prominent ribs and brilliant scarlet flowers in summer. When mature they may spread to form a 2-feet-wide clump. Chin Cacti (Gymnocalycium species): These small compact cacti are perfect for windowsills and limited spaces. They will flower at an early age and flower often. Flowers are white and pink, sometimes red. Pincushion Cacti (Mammillaria species): This is a large group of small, free-flowering cacti that are easy to care for. Most are densely spined, and in many types the spines are so elongated and soft that the plant appears hairy. Powder Puff Cactus (Mammillaria bocasana): It grows as clumps of spherical blue-green stems covered with short, dense, wooly spines. The flowers are small and white or yellow. Snowball Pincushion Cacti (Mammillaria candida): The body of this small clumping cactus is cloaked in dense white spines, which are often pink-tipped. It produces rings of flowers in spring, that begin cream colored, then turn pink. Pincushion Cactus (Mammillaria elegans): is native to Mexico. It is a globular cactus with white spines and wool, and has long lasting rings of magenta flowers. Old Lady Cactus (Mammillaria hahniana): This is a solitary cactus that is spherical, with short, dense, white hair and purplish red flowers. Giant Snake or Crawling Log Cacti (Mammillaria matudae): Mature specimens develop into a low mound of long, snaking stems. Rose Pincushion Cactus (Mammillaria zeilmanniana): This cactus grows in hairy white clusters with red-violet flowers. Column Cactus (Cereus uruguayanus): These upright cacti grow up to 3 to 6 feet indoors. They are a smooth blue-green with brown spines. 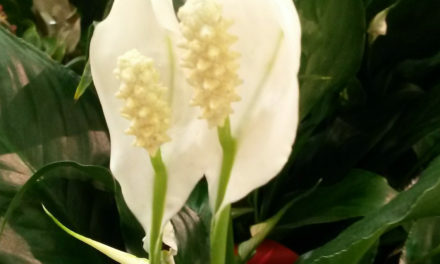 The flowers are white with outer petals tipped various colors and open at night. Few people think of cacti living in some of the most humid conditions imaginable, but the very popular holiday flowering cacti (Thanksgiving, Christmas and Easter cactus) are all in this group. Their appearance is very different from dry land cacti. 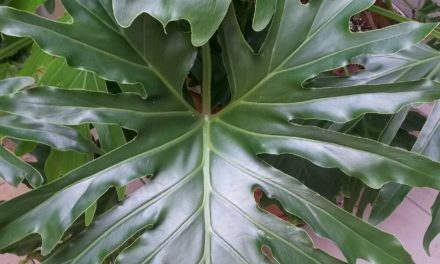 Most have wide, flattened, green stems that look much like leaves, no thorns and are grown primarily for their profuse and colorful flowers. They are popular gift plants. Holiday cacti and other rain forest cacti need substantially more water, but should never be waterlogged. Never let them dry out completely during the spring and summer months. They prefer at least 50 percent humidity, but will tolerate less. Misting may be beneficial in the home. These cacti need bright but filtered light. They may sunburn if in direct sun. Rain forest type cacti require more organic matter in their soil mix than do desert type cacti. A good soil mix consists of two parts peat moss, one part garden soil and one part sand. Good drainage is essential. Fertilize your plants once a month during the growing season with a well-balanced liquid fertilizer. Stop fertilizing Thanksgiving and Christmas cacti in September. Resume fertilizing after flowering. Easter cacti can be fed all year long except when flowering. You can encourage flowering in holiday cacti by adjusting their nighttime temperature and the amount of light and water that they receive. If you grow these cacti under artificial light, make sure that they are in darkness for at least 12 hours each day during the fall. Holiday cacti need long nights to flower. Watering should be reduced about the end of September. This is a rest period for the plant and is necessary to set buds. Keep nighttime temperatures around 50 to 55 °F. Temperatures above this range may result in growth but no flowers. Once flower buds form, increase water and temperature. Once the buds set, night temperatures of 60 to 70 °F are ideal. By mid-November your cacti should be in full bloom. Plants may drop buds if temperatures are too high or humidity too low. They may not flower if temperatures are too high for long periods. Falling or yellow leaves may result if plants are too dry or they get too much sunlight. Low humidity and too much water can stimulate root rot. Thanksgiving & Christmas Cacti (Schlumbergera truncata & S. x bridgesii): Thanksgiving and Christmas cacti flower anytime between those holidays on 1-to-2 year-old plants. The Christmas cactus has smaller, smooth-edged stems. Thanksgiving cacti have segments with toothed or jagged edges. Flowers appear earlier under natural light conditions than those on S. x buckleyi. Many cultivars are available. Thanksgiving cactus (Schlumbergera truncata) is a popular holiday plant. Easter Cactus (Rhipsalidopsis species): Easter cactus bears flowers at the stem joints and at the ends. They should to be treated the same as other holiday cacti but at different times of the year. The resting period for this group is from December through late March when plants should be kept cool and dry until the flower buds form. Once the buds form, the plants can be give more water and light. The plant flowers from early April until late May. Numerous cultivars are available. Orchid Cactus (Epiphyllum species): Orchid cacti prefer temperatures that range between 45 and 70 °F. They will tolerate extreme heat if well-shaded and the humidity is high. Plants should receive balanced fertilizer once a month from spring to fall. It is always better to use too little fertilizer than too much. To encourage flowering use an application of low nitrogen fertilizer once at the end of February and again in early November. Do not fertilize plants during December or January. The major flowering season for day-flowering orchid cacti is from April to June. Night-blooming species flower in late summer and early fall. Epiphyllums will flower when they are 2 to 3 years old. Make sure that your plants have a nighttime temperature of 40 to 50 F during the winter. Plants like to be rootbound before flowering. Orchid cacti have flattened, fleshy stems, often deeply toothed, with a trailing growth habit. Flowers are 6 inches long or more and of many colors. They are often sweet-scented and night-flowering. There are hundreds of cultivars.